In 1987 she is appointed advisor for the Department of Environment in Madrid, representing Spain as an expert in environmental policy at European Union meetings and International Conventions. Her interest in the urban environment leads her to complete a Masters program in Landscape Architecture at the University of California at Berkeley (USA) in 1993, returning to Spain in 1995. Working towards a greater recognition of the landscape architecture profession she is President of the Spanish Landscape Association (AEP) between 1998-2004 and during the years 2007 and 2008 she is representative for the AEP at the European International Federation of Landscape Architects (EFLA) meetings. 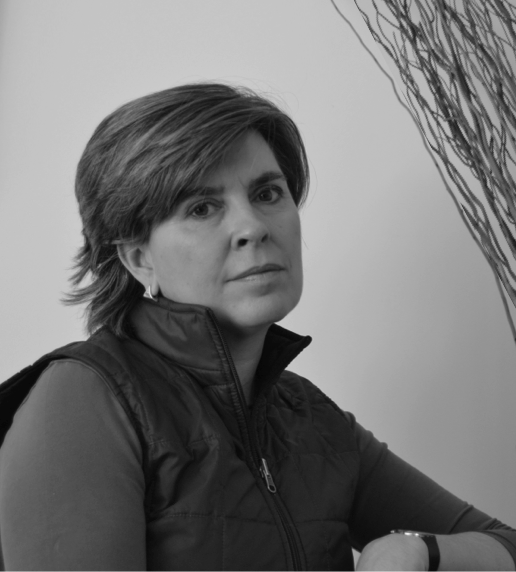 In 2001 she founds the landscape firm SC Paisajismo, a multidisciplinary group of professionals dedicated to designing and building landscape projects, and participates in different research studies, including the study of the Alhambra Forest included in the Alhambra Monument Master Plan. As landscape director for the urban development of Valdebebas in Madrid she has designed and coordinated landscape and urban design. She was technical director of the international ideas competition for the design of a large urban park in Valdebebas in 2009 and she has organized events and given numerous lectures on her work in Valdebebas.